I've begun to do some work on the robots control interface. 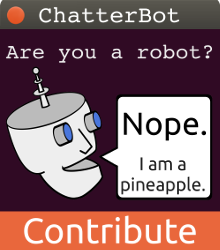 You can control the robot by connecting to its built in wireless network and entering the IP address of the robot's server. Recently I have started to develop the layout of the interface and the Arduino code. The software is not yet perfect but I will continue to work on it. I have uploaded most of the code to GitHub so feel free to visit the repository at https://github.com/gunthercox/salvius. 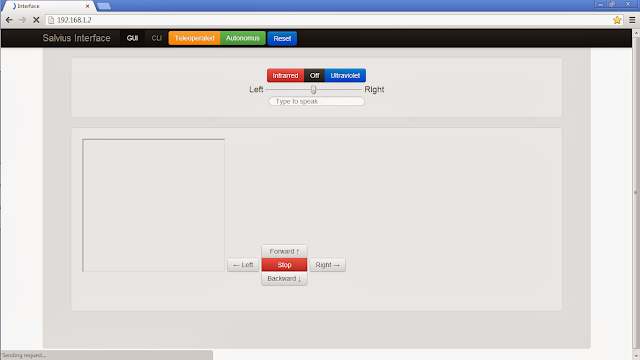 Here is a screenshot of the User Interface (UI) so far.